Life happens! No matter who you are you will face some sort of difficult circumstance at some point in life. Probably at many points in life truthfully. Being able to roll with the punches can be a challenge but it can also be a mark of character. Showing your children how to adapt to life’s circumstances teacher them more than any math lesson could. As homeschoolers we likely have more flexibility to adapt than other family’s might. I’m a stay-at-home mom. My children don’t have to be picked up or dropped off at school at any certain hour. This means we can help others out when they are in need. Recently we’ve been blessed to be able to do just that. Unfortunately my mom has faced some difficult medical circumstances and she’s need support to get to doctor’s appointments and treatment. While I would so much rather that she didn’t have to face this ordeal I decided to grab it as an opportunity. An opportunity to show my children how we care for loved ones and how to be roll with what life tosses at you. I share with you a picture I took on whim one day. We were waiting in a parking lot for my mother to finish her appointment. My children had packed up their backpacks full of math, grammar, poetry and a whole bunch of other things to keep themselves busy. I didn’t think much of the photo. I was sending it quick to my mom just to show her what her crazy grandchildren were up to. Thinking back now I think it shows a lot. It shows just how life keeps going even when hard circumstances crash into it. I’m thankful for homeschooling. Without it I couldn’t be there for my mom. Today I kick off a blog series all about what homeschooling is REALLY like! The nitty gritty, roll up your sleeves, get out and put some elbow grease into work. I certainly don’t want to make homeschooling look scary or ugly because it isn’t… usually. It certainly isn’t all sunshine, rainbows and lollipops either. So here I am, opening the doors wide to my home and letting you see what truly lies behind this crazy world of mine where I homeschool 2 1/2 children (I say 2 1/2 – one 9 year old, one 7 year old, and one just getting started with some kindergarten level work – she’ll be 5 next month) all with a baby underfoot. You have to promise me one thing before you read on. I’m getting a bit vulnerable here and I’m holding nothing back. Please be kind to me… AND! You have to promise me that you truly understand that no two homeschools look alike. NONE! What I do is TOTALLY different from what some of my friends do. So no comparing. AND PLEASE don’t tell me I’m doing it wrong! That’s the last thing any mom needs to hear. Real Life Homeschooling Part 1: OUR SCHEDULE! Oh boy our schedule! This is a thorn in my side because there is the ideal that I’d like to see and then there is REALITY! Once upon a time we a sweet little routine schedule that we followed pretty well most of the time. I got up early and accomplished a whole bunch of things before my children awoke. I started the day dressed and relatively put together. My bathroom got wiped down and my bed was almost always made and the laundry was generally always caught up. It was pretty sweet! Then baby number 4 came along. Woosh out the window all of that went! She’s a restless sleeper so getting up early is REALLY tough for this mom! So very little gets done in the mornings these days. Truthfully I play catch up all day long. Honestly most days I feel like a dog chasing my tail. Here’s what it REALLY looks like right now…. 7:15 – I peek at the clock and say some not nice words to myself because the kids will be up any minute and I failed to get up early AGAIN! 7:30 – Nurse the baby while trying to balance a plate with something edible for breakfast. Thank GOODNESS my husband gets the kids fed most mornings. I’d crack under pressure if this was my job. 8:00 – Guess what!The baby wants to nurse again. Didn’t we just do that? My other kids are SUPPOSED to be making their beds/getting dressed/cleaning up/getting chores done… instead they are acting like wild animals while I holler up the stairs trying to try and keep them on task. 8:35 – The kids still haven’t finished the chores that should only take 20 minutes. Once they do they are SUPPOSED to read a book from our library book basket. 9:00 – I am balancing getting the baby down for a nap, while trying to pick up some dirty laundry off of my bedroom floor and creating a load to go in the wash… these days the bed rarely gets made and the bathroom only gets wiped down when walking in there makes me want to vomit or we have company coming. During all of this chaos I’m hunting down something suitable to wear for the day… maybe. 9:30 – I am finally ready to start school. By now the boys have made their way to the school room (God willing) and have started tackling some of the things they do independently – Like lessons in Kahn Academy or their typing program. For the past 30 minutes my 4 year old comes to me every 3 minutes asking me “Mommy when will you do school with me today?” A smart mom would create something for her to do at this time so she’ll stop that… I haven’t done that yet. We are supposed to start with Bible study. We do, sort of, sometimes. Ok I don’t actually know what we start with. By now there is usually some catastrophe going on that I have to fix. The dog got loose, someone’s computer won’t start right, the baby blew out her diaper, something is wrong with the washing machine. You name it. 10:00 Break Time – yes I know. BREAK TIME! We haven’t started yet! Usually by the now the kids are begging for a snack. They go off to start some other chores and eat. Don’t ask me what I’m doing. I really don’t know! I’m just… there. 10:30 – I’m begging them to hurry up so we can get back to school and get something done GOSH DARN IT! 10:45 – Time to REALLY start school. Usually I just pick a subject and we go. Maybe it’s that science thing we are working on. Perhaps someone needs some math help. Writing maybe? It is really all up to whatever my priority is for that day. 11:00 – Just as we get started the baby wakes up hungry and in need of a diaper. I scurry off to do that as fast as I can. Then I come right back and juggly nursing while overseaing whatever the task of the moment is. Usually all 3 children are working on something different so I am being tugged in 4 directions at once. And so it goes until lunch. 12 or 12:30 – We break for lunch. Usually I have some sort of internal meltdown because I can’t find ANYTHING in the fridge acceptable to eat. 1:00 – I send the kids to play. I just need a little break. Usually the baby is pretty happy so I just sit. I have to or I’ll loose my mind. 2:00 – Baby goes back to bed. I love to read aloud to my children so I will often nurse the baby to sleep while I read. After that the rest of the crew gets down to work again. 3:30 – Adventures in Odyssey comes on the radio. We stop and listen. 4:00 – This is when I’d LIKE to have the kiddos work on some independent projects. Guitar, computer programing, an independent unit study, an art project. This time is really the magical time of the day IF we have time for it. Some days we have swimming lessons and we are racing out of the door to get there on time. Other days we have co-op… again we race out the door (side note, how parents with kids in school get out every day? I’d rip my hair out!). Then there are our field trips. I LOVE field trips. Often in the afternoons we have to cut things short because my daughter has karate. It seems we always have to stop just as we are FINALLY starting to get into a groove. ARGH! 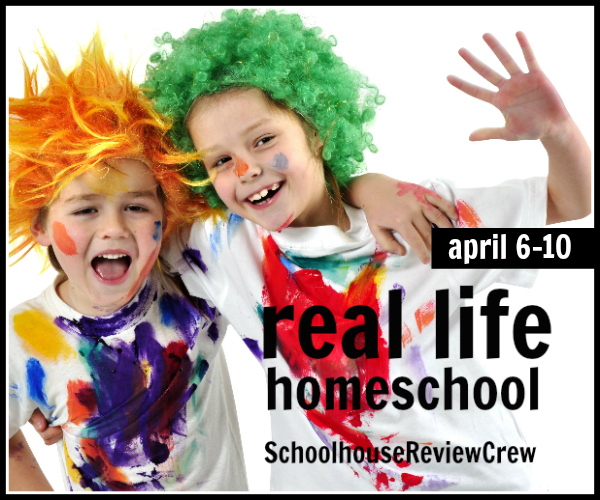 A homeschool life can be pretty chaotic. I have SO MANY crazy goals for my children’s learning. I want LOTS of time for independent projects and pursuits. I want LOTS of time for them to play independently and dream up awesome stuff with their vivid imagination. I want LOTS of opportunities to participate in group activities like co-op, swimming lessons, and karate. I want LOTS of time for us to go out and explore new and interesting places or to simply cuddle up and read a wonderful book together. I want LOTS of time for structured learning, especially math and writing. Except I only have 7 days in a week and there are only about 14 or so awake hours in their day. Truth be told we don’t get lots of time for any of these things. At least not all at once. I’ve had to accept that it is ok to go through seasons. Some weeks we do a lot of structured learning. Some weeks we are going non-stop to field trips, classes, events… etc. Some weeks they are really excited about something they love so I let them spend a whole bunch of time exploring that. There are weeks when the weather is just gorgeous so we dump everything, load the van, and hit the trails or the parks. Then there are the days where we are just sucked into our read aloud and we hardly move from the couch. I’m trying to teach myself that all of this is ok. Despite the chaos and days where I could absolutely swear that we have gotten NOTHING worthwhile done, we do. We really really do. I don’t see it in the moment for I am lost amongst the trees and I cannot see the forest. Once in a while I husband drags me for air and points it all out for me. Then I see the growth and progress. I see just how much they are learning. The first miracle Jesus did that is documented in the Bible is when He took ordinary water and turned into the most extraordinary wine. Jesus takes my ordinary efforts at educating and raising my children and He turns it all into wine. Whatever we are doing it IS working but that is because my God is in control, not me. I praise Him and I worship him for it every day. Homeschooling doesn’t look pretty but my goodness we make progress every day. Note to my husband: Yes, the next time I have a little mini breakdown and insist that it is all a mess and we aren’t getting ANYWHERE feel free to put this post in front of me. So there you have it. What one family’s homeschooling day REALLY looks like. This month I have had my nose buried deep in a fantastic new book from Dr. Scott Turansky and Joanne Miller. I’ve already shared with you some of my thoughts about it here and other places. It’s just the right book to come along at just the right time. It is called Motivate Your Child: A Christian Parent’s Guide to Raising Kids Who Do What They Need to Do Without Being Told . If it were up to me every single family would be presented with three things at the birth of their first child… a Bible, The Christian Parenting handbook also by Dr. Scott Turansky and Joanne Miller, and THIS book. These books have helped my family just that much. As parents we spend an incredible amount of our energy getting our children to do what needs to be done and trying to guide them towards become self-motivated, moral, and Godly people. Except learning to how, as a parent, to do this with our children isn’t something we can learn from a textbook. It is something we learn from the Word of God – the Bible. This book addresses basic every day life and teaches us how to attach our children’s hearts to God’s Word. In the pages is help with our days. Like the morning routine just to get the day started and perhaps out the door straight through to the bedtime routine to end the day. In between falls homework, chores, preperations for getting to appointments and extra-curricular activities. 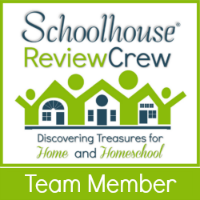 If you homeschool like we do than there is all of that learning and schoolwork that we have to make sure happens too. It is never ending. This book teaches us how to instill great character and a fine ethic in our children along the way. It’s our responsibility to teach our children to kind, generous, and helpful among other things not because we’ve told them to be but because their internal conscience motivates them. Anyone else exhausted just by thinking about it we are trying to do as parents? I sure am. Sometimes it can be maddening can’t it? We find ourselves having to tell our children repeatedly, daily, 100 times a day what it is they are supposed to do. My children know that to get to karate for example (something we do 2-3 times a week and have done for 5 years) that they have to have their uniform, bag, shoes, coat, staff etc. etc. They know what time we leave yet somehow I am always hollering up the stairs to their rooms… don’t forget your bag! Where is your staff? We leave at 5:00 why aren’t you in your uniform yet (despite having prompted them forever ago to start getting ready)! Then someone can’t find something and we are all in a tizzy. Despite all of my promises and vows not to yell the loud Momma voice rears it’s ugly head. By the time I take my seat in the drivers seat I’m ready to rip my hair out sometimes. I’m going to go out on a limb and guess I’m not the only Mom in the world with kiddos that do this sort of thing. So how can we stop the madness? This is where Motivate Your Child comes into play. It teaches us parents how to end the nagging and repair relationships that might be suffering because of it. We are reminded that parenting is really a long process where we are preparing our children for life by providing them with the tools they need to be self-motivated and people of Godly character. This book isn’t just full of theory and discussion, it is brimming with real life examples that leave you nodding your head shouting inside… THAT HAPPENS TO US TOO! Followed by not only practical and doable tips and techniques to make real changes AND references to the Bible to remind us why we are teaching and guiding our children. If you are a family that strives to use God’s word when making parenting decisions and you are interested in what Godly Christian family and parenting experts have learned in their research and their own study of the Bible than this book is absolutely for you. There is so much to learn about Biblical parenting just by reading all about how Dr. Scott Turansky and Joanne Miller teach and guide real families in their ministry. A parent’s words are important in a child’s life. They linger in the heart and become food for the conscience. How many times as you’ve grown into an adult have you heard the often repeated phrases your parents used? My mother had this habit of telling … “NOW!” I can hear her voice with that word clear as a bell. In fact when I say it to my own children I can flash right back to being a kid myself! Or… “Just do your best! Your best is good enough.” She said that to me so often that to this day every time I tackle anything difficult I can hear her saying that to me in my mind. It is true. The things we tend to say to our children they will carry with them forever. Our voices will turn into their internal voices and guide long after we are no longer around to help through their days. I want to use this to my advantage. If I use positive, encouraging, and motivating words now God willing when they are adults they’ll continue to say those things to themselves and make wise choices. My favorite example from the books is…. “Brother’s Love Each Other.” This is near the beginning. I have four children and it is my prayer that they always remain close to another. That they are steadfast friends that love on one another in the hard times, celebrate together in the good times, and help each other whenever possible. I know friends who don’t get along with their siblings at all. This is tragic in my opinion. So, as the book suggests, whenever I catch them fighting I now say… Brothers and Sisters love each other so let’s make this right. And when I see them loving each other and getting along I say… See brothers and sisters love each other and you guys are doing a great job with that right now. My prayer is when they are all grown and some conflict comes up they’ll remember that brothers and sisters love each other and they’ll do what they have to to make it right. Dr. Scott Turansky and Joanne Miller spend a good deal of time discussing how the conscience develops and they offer practicle ways to positively coach your children towards using it in a positive way. They dive into handling correction and they teach parents how to use correction as a positive opportunity for guidance. There are even fabulous chapters on spirtual development in children and family fun in connecting with scripture. There are too many worthwhile things to list. It is simply a goldmine. I can’t fit everything in this space. This is the kind of book you’ll want to reread as you gain more insights with each pass through and some things that seem to not to pertain to your family in the moment will likely come up at a later time. Look Up! Look Down! Social Media… the perils! I was sitting in my children’s Karate class the other day, tapping away on my phone. It had been a long day and I had a lot of catching up to do as I had many messages and emails regarding our homeschool co-op, my photography business, an upcoming family get together, texting my husband about things we need to get done, and… well… who knows what else. I’m sure my face turned red. Did this woman just try to guilt shame me? Did that really just happen? Oh the things that ran through my mind about what I should say… but I didn’t. I did put my phone down for a few minutes but only a few. Here’s the thing… this woman doesn’t know me. She doesn’t know I homeschool my children and I’m with them 24/7 watching EVERYTHING they do. She doesn’t know that I put social media aside all day long in order to nurture and educate my children and I’m desperate for a brain break and some time to get things done. She doesn’t know that that little phone is the life line through which my children’s social lives keep thriving. She doesn’t know that my husband works long hours day and night and weekends too and this is our one time to make sure we have a clue about what is happening in the other’s life. She doesn’t know that my family has been a part of this karate school for 4 years and I’ve sat through sometimes SEVEN karate classes week in and week out through all of that time. She doesn’t know… she doesn’t know about the woman sitting next to me. Perhaps that lady is getting word about a relative in the hospital, talking to a friend overseas who’s actually awake at the same hour, or working out a sweet surprise for her child’s birthday. She just assumed we were all ignoring our children and that we were terrible for doing it. Social media, the internet, our little phones have all gotten a bad rap as of late. There is this idea that these things make us isolated. That we are so sucked into the virtual world at our fingertips that we are ignoring the real world around us. That we are becoming a lonely society with 500 meaningless Facebook “friends.” We now look down our noses as those looking down at our phones. There are videos like the one above and whole books (several of them) written on the topic. It’s another “thing” for moms to get wrong. It’s another source for Mommy guilt… just because I chose to catch up on my phone rather than watch my 1,000th karate class. Social media and our tiny little phones aren’t evil. Social media and the internet is a wonderful vibrant medium that can add so much richness to life. It can connect you to friends old and new, expose you to new ideas, lift you up and motivate you. I have so many friends from days gone by… from high school, from college, from old jobs… you name it. We’ve reconnected through Facebook and I adore what they share. To watch their little babies be born and grow up! To see their triumphs and to pray for their struggles. Social media is where I learn about the stuff that doesn’t always make the mainstream news. Things like the struggle to free persecuted Christians from the worlds worst jails, the real story behind things like Common Core, or the absolute best way to cook quinoa. Social media is the tool I use to make my family’s social life go round. In the last 24 hours I’ve had online group conversations (that don’t appear in any of my newsfeeds) with no less than 30 people. THIRTY PEOPLE! Some of them half way around the world. I’ve planned playdates, co-op classes, a Christmas party, and negotiated with a family that will likely book me to photograph a wedding. How much of that would have happened if I banned social media from my life? Next to NONE of it! Truth be told there are a few people who were once in my social circle that I saw regularly. They decided to kick the social media habit and now I rarely if ever see them. They aren’t aware of the events, groups, outings, park dates, classes, field trips etc any more so they don’t come! That seems more isolating to me but I’m not them so I can’t say. Anyway… no more Mommy guilt over our phones ok? It’s ok to look down, at least sometimes. Hands Free Revolution? A Guide to Putting Down the Phone, Burning the To-Do List, and Letting Go of Perfection to Grasp What Really Matters! Can I share with you something I don’t like about raising children? It goes by too fast. Now I’m not being all pollyanna and pretending like raising for babies is all rainbows and lollipops! My goodness are some days hard and yes I do sigh with great big RELIEF when my children all settle into bed at night. Finally, some quiet time! But goodness my oldest is about to turn nine! Half his time as my “child” is pretty much over. His days as a little kid playing in the backyard, pretending to be whatever his imagination is taking him today, that’s way more than half over. We are probably not too far away from being too cool for that. It is going by WAY TOO STINKING FAST! Can’t I just slow it down and drink it all so I don’t forget a thing? I want to remember how my boys smell because that little boy smell and dirt and play is special. Before I know it it’ll be more like stinking body odor! My four year old daughter is lost in princesses and baby dolls. She loves to dress up! My baby is still very much a baby but when I look at the older three I know… my days gazing into her beautiful eyes as she nurses away in my arms are so limited. It all makes me ache! What do I do? It hurts to realize from the moment they are born they are really just in the process of slipping away. If I do my job well I’ll blink and they’ll be grown, independent adults off in the world and I’ll be left with… well… I don’t even know. I’m sure God will have a plan for me at that season of life but it still hurts my heart to realize some day I won’t be a Momma like I am now. I recently picked up with book called Hands Free Mama! A Guide to Putting Down the Phone, Burning the To-Do List and Letting Go of Perfection to Grasp What Really Matters! (Affiliate Link) What a title huh? The book is convicting. I’m realizing that I spend my days on a quest to get as much done, to get through as much stuff (blogging, homeschooling, co-op planning, ministry, homemaking… you name it!) that I’m MISSING out on LIVING and soaking in the here and now! I don’t want to miss my children’s childhoods! I don’t want to rush through it! I want to LIVE in it! Don’t you? Now I haven’t finished the book! I’m going through it slowly… digesting each section and taking seriously the challenges presented in it. I was afraid this was another book that was going to make me feel guilty for social media, blogging, etc. It isn’t! Yes it does deal with the issue of paying more attention to your phone than anything else… but that’s not the center of this book. This book is actually more about opening your eyes and encouraging you to ENGAGE in the here and now! RIGHT NOW! And to embrace the life in front of you at this minute. 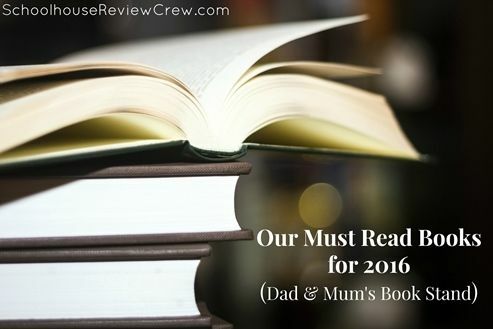 Because of this book I now see my children’s silliness as more fun than a nuisance… and I engage in it! Now, instead of running over to-do lists in my brain while driving to and from where ever I sing songs with my kiddos and engage them in fun conversation. Now, instead of watching my kiddos play from the sidelines, I try and jump in… at least sometimes! I’m feeling more connected to my children than ever! I’m feeling more at peace and less frazzled than before. I’m noticing more smiles and laughter too — come from me! I’m toying with the idea of starting a series on this book and my experiences. Stay tuned! you can only change yourself! Have you ever heard that quote? Or some variation of it? I haven’t a clue where it came from but I’ve found it to be very true. My four year old daughter has been going through a thing lately. She drops into tantrums with the drop of a hat. She’s been terribly disobedient and awfully fresh. We battle to get her to do anything at all for herself. Dinner time has been regulated to an all out war! Perhaps we could blame this on the arrival of her baby sister? Maybe not because I remember her brothers going through this at exactly the same age. Whatever the cause it is something that has to be dealt with. So how have I been dealing with it? Each time she refuses to do what we ask or drops herself into a tantrum we would scoop her and drop her in her bed. This didn’t end the tantrums. NOT. AT. ALL! In fact it escalated things. BIG TIME! Can you hear me sighing over here? A bad tantrum would turn into blood curdling SCREAMING FITS complete with her banging her door like she meant to break it down. By this point she’d be completely unable to hear me even when I did my best to calmly bring her down. Then of course I would get even more riled up myself so I’d break into yelling. Nope, that didn’t help either. I’d have to wait her out. I’ve been exasperate with her! How come she does not respond to reasonable punishment! As I sat outside her door developing my own throbbing headache that beat in time to the pounding she was inflicting on the door it hit me… the quote above… like a ton of bricks! What I was doing clearly wasn’t working. I couldn’t change her so I had to change me. That tantrum finally ended and I vowed to rein in my emotions and do things differently next time. My plan of action… distract, ignore if need be, and pour on the praise. When I saw a spout of disobedience coming, instead of warning her she’d have to go to her room if she didn’t do as she was told I tried to make a game of things. “Oh, I wonder if you could finish your dinner before I do!” If she wanted something she couldn’t have I thought of something else that she COULD have that’d be delightful to her… distraction. If these ideas were successful then I’d dance around the house singing her praises for a job well done. SHE BEAMS when I do that. If my tactics failed then I just completely ignored her tantrum. I now do everything I can to avoid escalating it further. I can’t control her. I can’t MAKE her obey. I can’t DEMAND she turn off a tantrum like a switch. But I can change how I respond to her. SO far so good… she is going with the flow far better, she is becoming independent again, and her tantrums are shorter and fewer in number. My new mantra… I can only control myself!